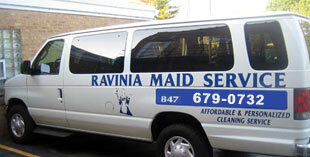 Ravinia Maid CLEAN your home! Personalized service, attention to detail and a good reputation combined to give the customers at Ravinia Maid peace of mind and a clean home or business environment. We are serving entire Northern Suburbs of Chicagoland since 1987. We want to to CLEAN YOUR HOUSE SPOTLESS!